In its consolidated financial statements for Q3 2017, the Grupa Azoty Group reported revenue of nearly PLN 2.2bn, up 10% year on year. With EBITDA of more than PLN 255m (up by nearly 77% y/y) and net profit above PLN 75m (PLN 5m for Q3 2016), the Group has a positive view on its performance in Q3 2017. YTD sales for the first nine months of 2017 amounted to more than PLN 7bn, up 7% year on year. EBITDA rose 16% year on year, to PLN 969m, and net profit went up by 26%, to PLN 453m. 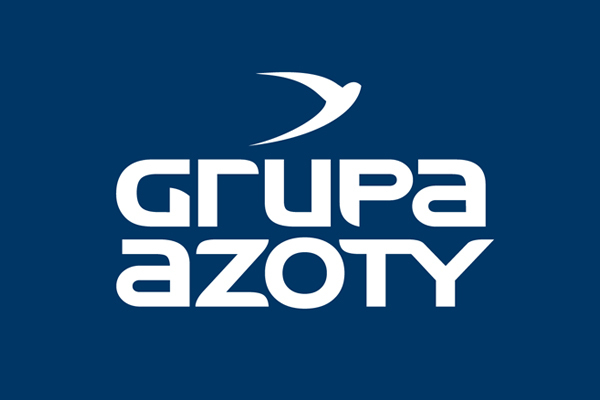 “The Grupa Azoty Group celebrates its 90th anniversary with excellent results reported for Q3. In recent months, the Group commenced the construction of the Research and Development Centre in Tarnów, placed in service Polyamide Plant II, and continued the PDH project in Police, making the first corporate decisions to extend the project by adding a propylene unit. These major events were accompanied by excellent financial performance. Compared to the corresponding quarters of previous years, we have reached record-high results. The Plastics segment was undoubtedly the driving force of our growth. The Grupa Azoty Group effectively captured the opportunities offered by favourable market trends. Revenue from sales of pigments manufactured by the Chemicals segment was sufficient to fully offset higher natural gas prices affecting the margins on chemical products, such as technical-grade urea or melamine,”	said Wojciech Wardacki, President of the Management Board of the Grupa Azoty Group. “We are happy to see another quarter with the Plastics segment’s solid contribution to the results on supportive market and low-base effect year on year. A nearly 100% increase in polyamide 6 and benzene price deltas significantly boosted the segment’s EBITDA, helping it to improve from the negative figure in the previous year to achieve an EBITDA margin of 16%. The Grupa Azoty Group is successfully taking advantage of the positive trend observed in the plastics sector, and with increased PA6 production capacity in Tarnów, the Grupa Azoty Group now ranks third among the EU’s chemical producers. As regards the Fertilizers segment, it should be stressed that, despite an increase in gas prices by more than 20%, with high prices of products, which undoubtedly had an adverse effect on the financial performance, the Grupa Azoty Group finally managed to deliver positive EBITDA in the segment, of PLN 64m in Q3 2017, by ensuring efficient management of maintenance shutdowns and thanks to the Group’s sales policy’,	said Paweł Łapiński, Vice President of the Management Board of Grupa Azoty. An overview of the individual segments’ results shows a clear dominance of percentage margins in the Plastics business, which – both in the period under review and cumulatively – continue to deliver an EBITDA margin of more than 16%. It shows a contribution of PLN 57m in EBITDA (for Q3 – up 683% y/y) and of PLN 178m YTD (up 606% y/y) to the Group’s financial results. These figures allow us to be optimistic about achievement of the business objectives of the new Polyamide Plant II in Tarnów, whose increased capacity with respect to the volume and range of polymers should make it possible for us to even further exploit the favourable market trends. The Fertilizers segment in Q3 reported improved performance year on year, with operating profit (EBITDA) of PLN 63m (nearly three times the figure for Q3 2016) despite unfavourable trends in the prices of raw materials (gas prices higher by above 20% y/y). The trends in gas prices and maintenance shutdowns continue to place this year’s operating performance – on a cumulative basis – below the previous year’s figure (with its first quarter as the best quarter on record at the time). However, the last quarter saw an upward trend in urea prices, which bodes well for the overall result for 2017. In the Chemicals segment, EBITDA rose in Q3 by more than PLN 10m (to PLN 79m) on sales higher by PLN 89m (to PLN 645m), chiefly on the back of margins earned in the Pigments and OXO segments, with lower margins on products based on gas (technical-grade urea and melamine). The segment’s EBITDA came in at PLN 230m YTD, slightly lower compared with the 2016 figure (PLN 234m) which – given the rising gas prices – demonstrates the efficiency of our operations in this area.